Winford school is located directly under the flight path of Bristol Airport, as such noise ingress is a significant issue. 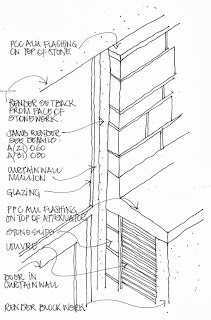 During the design stage of this building several design options where reviewed. The school is a prime example of the versatility of the NVA and MACH Acoustics. 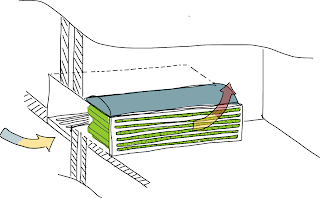 Facade ventilation is incorporated through window and horizontal louvres. 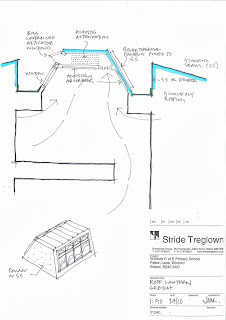 Cross ventilation is applied through internal benches and exhausted through atrium vents. For the design of this building cost was a primary factor. There was a desire to naturally ventilate but under the flight path of Bristol Airport and with cost limits it was a challenge acoustically. 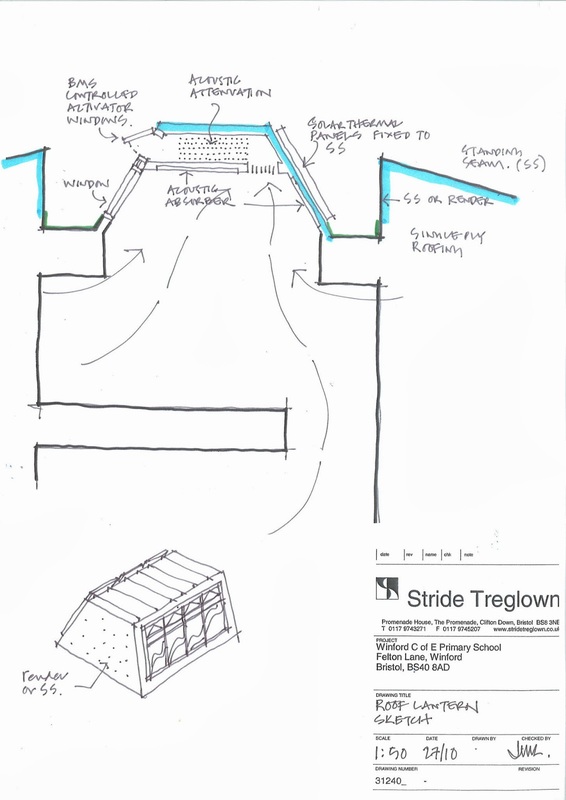 A full natural ventilation strategy was designed in partnership with Stride Treglown Architects. 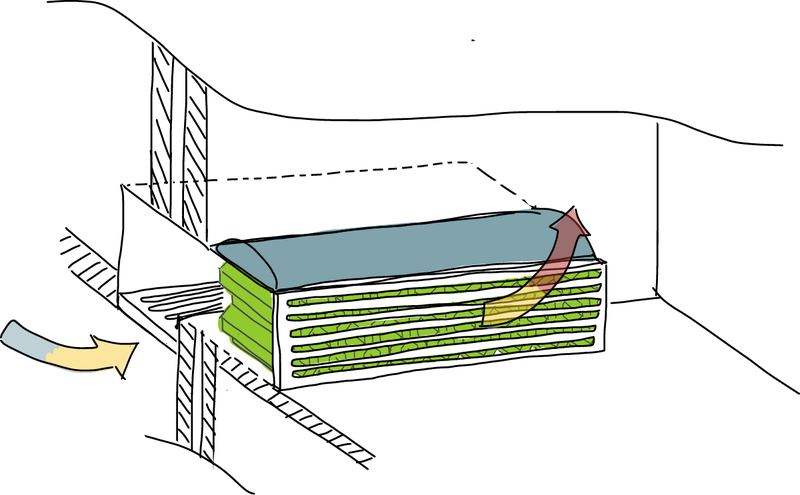 Air would enter the building through openable windows and horizontal louvred ducts - controlled by a BMS - ventilate classrooms and exit through the roof of a central atrium known as the ‘heart’. 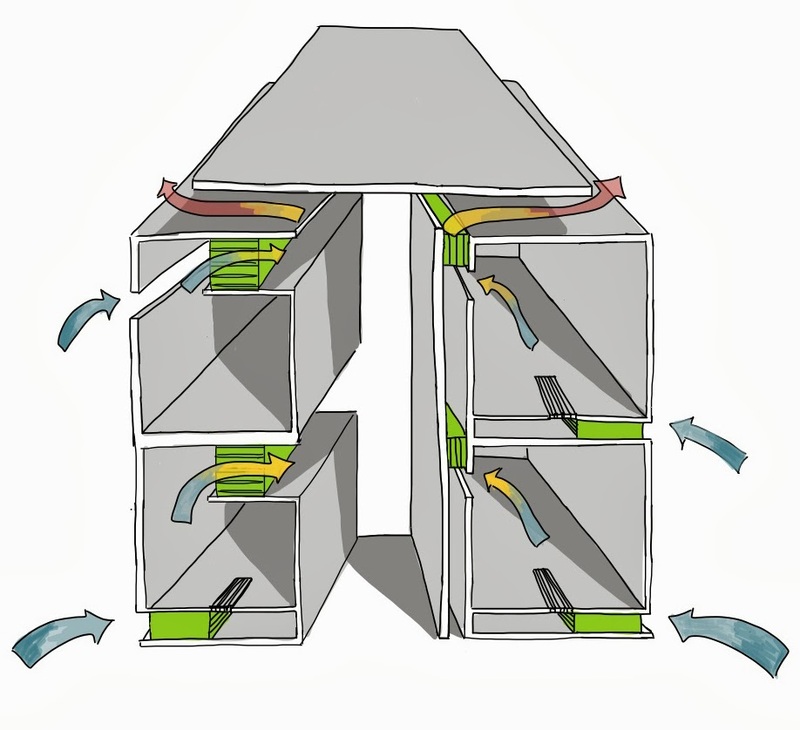 Cross ventilators were designed between floors, discretely ducted within ground level benches - maximising building usage. 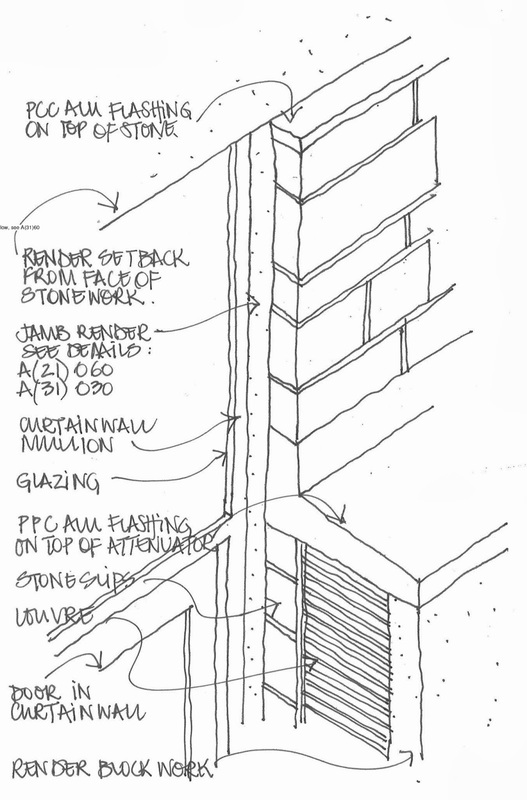 The horizontal facade included thermal dampers, actuated by the building management system (BMS) and featured a 900 bend; reducing the protrusion and increasing acoustic attenuation. 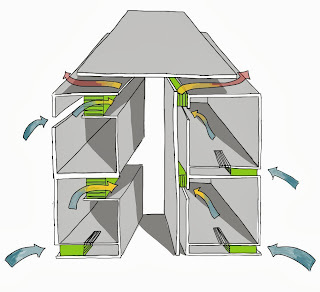 The central ‘heart’ of the building includes a plenum, where the hot air will exit the building. The design included a NVA bulkhead, mounted with BMS controlled actuated windows. Working with Strides, the flexibility and bespoke nature of the NVA allowed for this design and enabled the same space to include solar thermal panels. 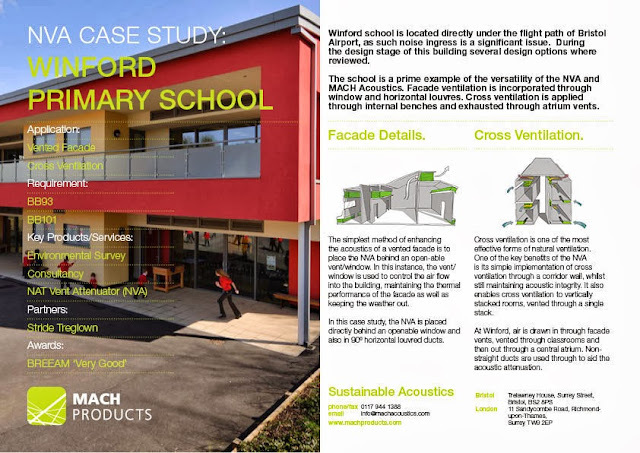 The school was fully compliant with BB93, confirming exceptional acoustic design considering the potential clash between natural ventilation and the busy Bristol Airport flight path. Importantly, the reception of the building has been extremely positive, with teachers, parents and pupils heaping praise for the spacious and pleasant working environment. Winford’s pupils, who, according to parents are now ‘excited’ to go to school, enjoy day lit, naturally ventilated internal spaces with glazed screens between them so that all activity is in view. The build received a BREEAM ‘Very Good’ rating and will generate a minimum of 15% of predicted energy consumption, thanks in part to the well executed natural ventilation system. Click the preview below to download the full case study (pdf). Good explanation and very impressed to me. I really enjoy it to your article and this is great content. Thanks for your post and I want more different kind of ideas from your post.